The IGFA has released another batch of potential all-tackle (length) world record catches. As always, these catches are currently under review to see if they meet the criteria needed in order to be named the world record. Peter F. Binaski might get his name in the record books for the beautiful pink salmon that he landed on Sept. 17. 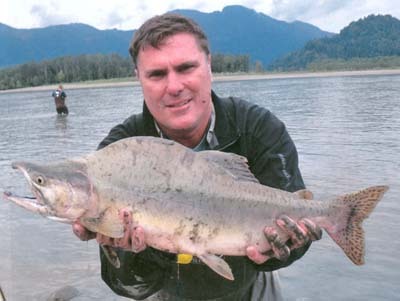 While fishing British Columbia?s Fraser River, Binaski landed a beauty on a pink fly. The fish measured in at an impressive 61 cm. On Oct. 16, Guillaume Fourrier landed a potential record pouting on a Castaic Jerky J swimbait. The fish, which was caught in the waters off of Boulogne Sur Mer in France, weighed 2 lbs and measured 38.6 cm. 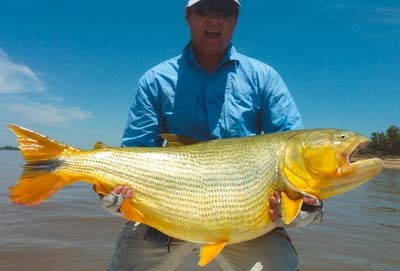 This gorgeous golden dorado was caught on Nov. 7 in Argentina?s Uruguay River. Darius Petrauskas landed the fish using a Lindy MG Spinner. It measured in at 97 cm. 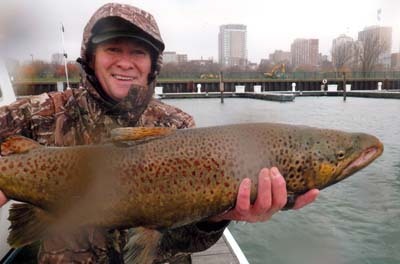 Finally, James Schmid was fishing in Wisconsin?s Milwaukee Harbor when he landed this potential record brown trout. 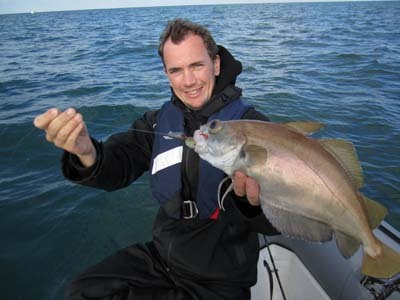 Schmid used egg sacs as bait to land the fish, which measured in at 71 cm.